Horns of the Reach, the latest DLC pack for The Elder Scrolls Online, is now available for consoles and offers players new dungeons and items. Horns of the Reach, new DLC for The Elder Scrolls Online, is now available for Xbox One and PS4. The DLC gives players two new dungeons and a lot of new items. There is also a free update for the game with much more new content. The two new dungeons, called Falkreath Hold and Bloodroot Forge, are for four players and contain new sets of items, new rewards and achievements. 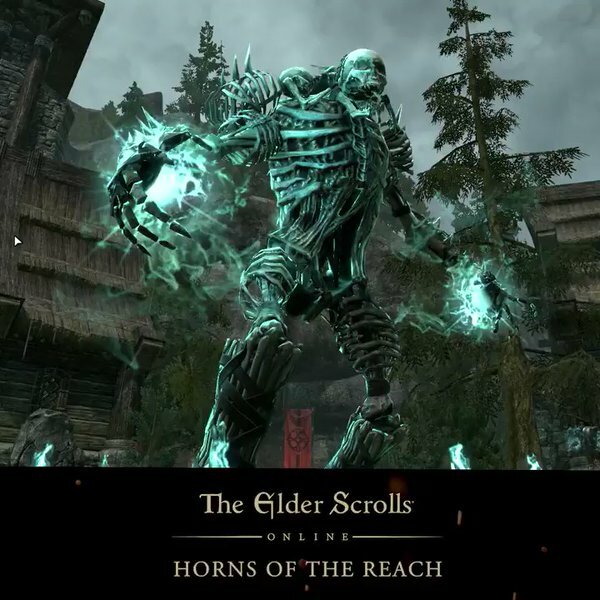 The Horns of the Reach DLC is available free of charge for all ESO Plus members or can be purchased for 1,500 Crowns in the in-game Crown Store. In addition to this new DLC, The Elder Scrolls Online for Xbox One and PS4 has a new update and is completely free! The update adds a new Basttlegrounds map called Arcane University. There is also a new Battlegrounds game mode called Chaosball. You can only play Battlegrounds if you have the Morrowind extension in addition to the basic game. Other additions to this update include new options for guilds, the option to pause research, and new ways to set up your home. Besides, bugs have also been solved and made small adjustments to the gameplay. These updates are available to anyone who plays the game and you do not need extension. Here are the full patch notes for PS4, and for Xbox One they are on this page. Horns of the Reach and this update were already available for PC players. Want to read more about The Elder Scrolls Online, read our review of The Elder Scrolls Online Morrowind! It is very important to take the time to level up at the beginning of the game. Whenever you need ESO gold, you can turn to ESO-GOLD for help. ESO-GOLD has cheap ESO gold for sale. And we guarantee to deliver safe gold to you within 10 mins in safe places of the game.